Newark, Ohio - April 22, 2016 --The Granville High School Chickadees Team placed first and Granville Blue Aces Team placed second in the Tri-County Envirothon competition held Tuesday, April 12 at Infirmary Mound Park in Licking County. Photo: Granville Chickadees Team (left to right): Nathaniel Carlson, Scott Momin, Chris Carlson, Daniel Gibson, Sage Kaplan-Goland (not shown). Advised by science teacher Jim Reding, the 5-member Granville teams competed against seven other teams from Licking, Muskingum, and Perry Counties. The purpose of the annual outdoor competition is to increase high school students' awareness and interest in the environment, natural resources and conservation. The Granville Chickadees Team scored 51 points and the Granville Blue Aces Team scored 50 points out of a possible 60. The students study either Ecology or Environmental Science at Granville. Both classes cover information addressed on the test. 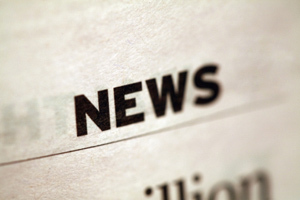 They research issues independently, and meet regularly to review material on the tests. Hosted by sixteen county soil and water conservation districts, the Area 3 Envirothon (/calendar/2016/04/27/area-3-envirothon) is set for Wednesday, April 27, 2016 at Dillon State Park in Muskingum County. This event qualifies the top four Area 3 teams for the state competition. Ohio Envirothon is June 13-14, 2016 at Bowling Green State University. Learn more about Ohio Envirothon here: http://ofswcd.org/?page_id=240. Ohio has one of the biggest and best Envirothon programs in North America. Volunteers are needed to help with the Area 3 and Ohio Envirothons. For more information or to volunteer for the Area 3 event, contact Muskingum SWCD, 740-454-2027. 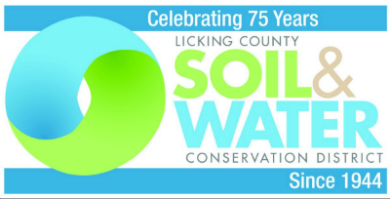 For more information on the Licking County high school and middle school Envirothon program, contact Denise Natoli Brooks at Licking County Soil & Water Conservation District at 740-670-5330 or Jim Reding, Science Teacher, Granville High School, 740-587-8105.